Shark School Slot is a new online slot machine developed RTG. Shark School has 5 reels and 50 paylines. The jackpot payout is *39,000. Minimum bet per line is from 1¢ up to $1. With 50 paylines the bet per spin starts with 50¢ up to $250. 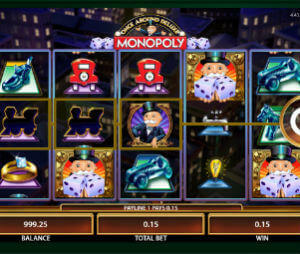 Shark Slot has all the familiar features: wild Symbol, scatter symbol, multiplier, bonus game feature and free spins. We find that RTG slots are a bit behind in terms of graphics, but seems that with Shark School Slot they are making the desired step forward. It’s not there yet, but getting closer. You can play Shark School for fun here on SlotMachinesOnline.co. or for real money in one of our Best RTG casinos. Please share your opinion with us- you can do that by using the comment box below or by emailing us. Have Fun! Update: Since the time we made this review, RTG launched to amazing games, at least in terms of design: Orc vs. Elf and Pirate Isle slots. In my opinion the first time is more intriguing visually, but it’s a bit too much, while Pirate Isle is one of the best RTG slots.